The Ordinary has been getting a ton of hype lately for being an innovative new skincare brand, bringing top-quality skincare ingredients at record low prices. They’ve done this by packaging a few proven ingredients in order to aid skin simply and effectively. 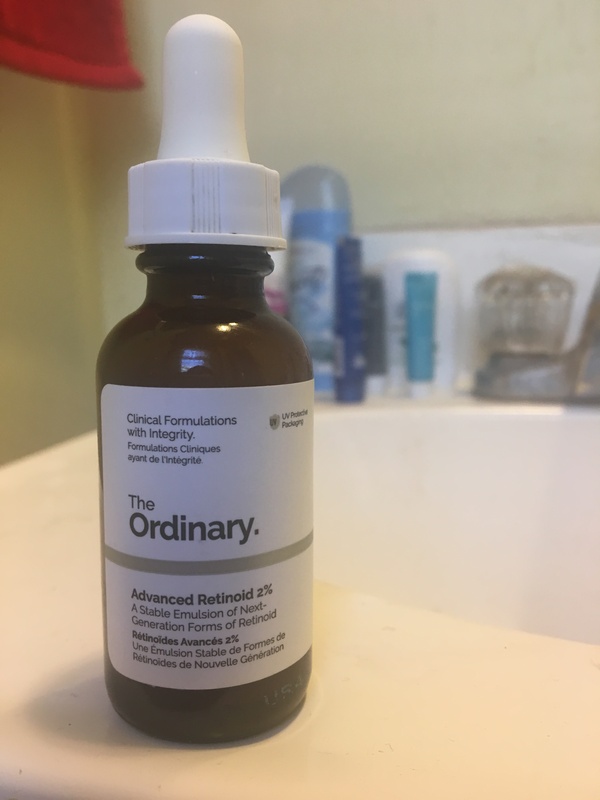 Their Advanced Retinoid 2% is an anti-aging Retinol serum (which, for those new to the world of geeky beauty, is one of the only ingredients proven to prevent the signs of aging through regenerative cell turnover. It is recommended to use an SPF while using any products with Retinol due to increased sensitivity.) The delivery system which they’ve packaged their Retinol is meant to minimize the irritation that typically accompanies Retinol products without sacrificing results. I would say of the products that I’ve tried, the one that it reminds me of the most would be the Cerave Skin Renewing Cream Serum. Available to purchase at drugstores and Ulta at around $15.99 with a similar system of delivering Retinol, it is the most competitive product at this price point that I have come across, although as the name would suggest, it has more of a cream consistency. However, at using The Ordinary serum at the pace of 2-3 times a week for slightly over two months, I would say that it is just as if not more effective at increasing brightness and correcting discoloration, and more effective at decreasing redness and sensitivity overall. Though I’m not a scientist, I would say that that this might have to do with the fact that the Cerave Skin Renewing Serum contains a 1% Retinol and ceramide, vs. the 2% active ingredient in the Advanced Retinoid. At a mere $9.80 and the $5 I paid for a shipping charge, that brings the total cost of this product to a whopping low of less than $15, at which you could easily spend several times over for it’s ingredients and still less than the product most comparable on the shelf at it’s price. And with it being one of the most effective skincare items that I’ve used, I would say it’s definitely worth a shot! Disclaimer:There are links available to purchase in the post for your convenience. There are no affiliate links used.